Velox Duo branded dual OS installed (macOS and Windows) PC. Ideal for gaming, video/audio editing. The possibilities are endless. Custom built from high end Apple compatible parts. 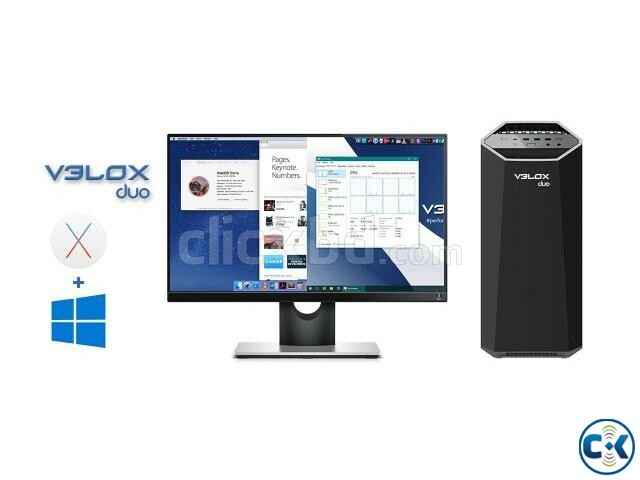 Visit www.veloxcomputer.com for placing orders and additional details.